Welcome to another edition of Ask Sentai! Due to us making our way to San Antonio for San Japan, we weren't able to put up an Ask Sentai blog last week. Anyway, let's get going! As always, if you have a question, feel free to visit our ask.fm page and let your voice be heard. Is CHUNIBYO: HEART THROB going to be available on Blu-Ray? This is one of those titles that, for whatever reason, has a blu-ray hold back placed on it. While we always strive to release our titles with both formats readily available, certain situations beyond our control sometimes affect that release strategy. Although I am fairly confident that Heart Throb will be available on Blu-ray sometime in the future, I can't really say when that may be. Thanks! How often is Sentai going to answer questions? So sorry for the delay! We usually try to have an Ask Sentai blog up every other week, but this past week we made our way to San Antonio to attand San Japan (which was a blast by the way), so last week's Ask Sentai turned into this week's Ask Sentai. So, barring any unforeseen circumstances, you can expect an Ask Sentai blog every other week. Are you guys going to license the 2nd season of Gatchaman Crowds? Ah, I love Gatchaman Crowds. Ever since I heard that super catchy "GATCHAMAAAAAAAAAN..." tune (I know you know the one) blare out in the first episode, I was completely hooked. It's turned int one of our best and most unique titles, and we are more than thrilled about having it along with the rest of our Gatchaman stuff in the catalog. As for Gatchaman Crowds Insight, we are DEFINITELY looking into it. I've watched a few episodes already, and it still has that same flavor of beautiful animation, interesting plot, and diverse characters that the first season had. I would say there's more than a good chance that we will get it! Are there still old anime that is being picked up? Neighborhood Story? Skip Beat! Kimi to Boku? ect. 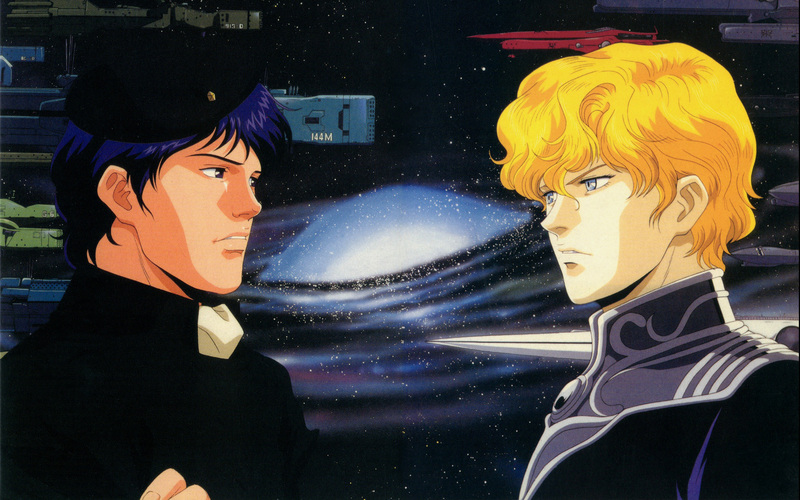 Yes, and I believe we have thoroughly shown that we are very much interested in older series with our pickup of the every elusive series Legend of the Galactic Heroes, which has NEVER made it to the United States. While I can't say for certain that we have looked at the titles you suggested, I can say that we are constantly looking into older series for possible acquisitions. Details such as these are a little tricky to tack down right now, actually. If you were not aware (although I'm sure you are if you're into LOGH) this particular series comprises 110 episodes (technically they are considered OVAs). That equates to a TON of work on our side. In order to make this the best possible release (dare I say, definitive release? ), we are taking care to comb over everything we get with a fine toothed comb to ensure quality. So right now the focus is on ensuring that quality. I assure you, however, that a release date and other details will come. Thanks! Although our friends at Toonami have already put out a little sneak peek video, we're going keep the cast list close to our chests for now. The anticipation, uncertainty and curiosity is the best part of a premiere, we think, and we want to keep that as high as possible going into this Saturday. Don't miss it BTW, Saturday, August 8 @ 12:30 AM ET! Did you guys ever announce who won that Parasyte contest? I never saw anything anywhere. Why are some shows released with a dvd release first but the bluray release isnt for release until several months later? I believe we've answered this question before, but I'll fill you in on what goes on anyway. So, there is something called a "holdback period" that is sometimes added onto a title. What this means is that we are not able to release that title on Blu-ray until the holdback period is over. That period can be vary title to title, so in order to get a show out to you guys who are waiting for it, we sometimes release the DVD version first, as there are no holdbacks on those. We are continually working to keep these holdback periods from affecting our release strategies with our titles, so hopefully you will be seeing less and less of this occurrence in the future. I heard that you will be dubbing Chaika, but havent seen it anywhere on your site or on social media. Is this true? YES! We announced this over the weekend at San Japan, actually. Chaika the Coffin Princess WILL indeed be getting a dub, and why wouldn't it, right? It's only got a ton of action, a great cast of main characters, a very unique and interesting storyline, and one of the cutest girls...EVER, in Chaika. We are super excited about working on this show, we hope you dig the end product! Whenever we get multiple seasons of shows, we always, ALWAYS try to keep the same casting throughout the entire series. It wouldn't make much sense to put out a multiple season show with a different cast every season, and that's definitely something we want to avoid. So yes, if we do end up getting that particular title, I'm sure Mr. Ayres will try his hardest to bring the original cast back. Thanks! That's it for this edition! Next time we'll talk about what to wear/what not to wear to anime convention (man sandals, pls go.) See ya!